FTC disclaimer: While this is a sponsored post, I only endorse companies and products I feel strongly about their value to my readers. Suppose your teenager is out and you don’t know where she is, and she’s not answering her phone? What do you do? Immediately start worrying? Maybe not. For some parents the answer lies as close as their computer. 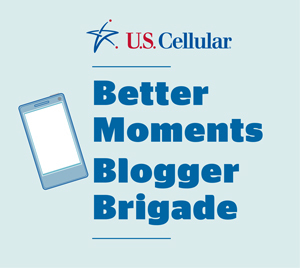 If you had Family Protector from U.S. Cellular, then instead of calling your teen’s friends, you would simply log on to U.S. Cellular and you could see at an instant where your child is! Sound like science fiction? It’s not! The GPS in the phone allows you to monitor where your child is at all times. I can remember in high school one time a couple of my friends took a car and drove to the next town. Neither had driver’s licenses. If they had phones and knew their parents could track where they were, I doubt they would have done that. As it was some neighbors saw the girls, called their parents and they got in trouble. But what if your child decided to do something like this and no one told you? In addition, you can lock down the phone for certain hours. Don’t want phone calls or texts made after 10 pm on school nights? You can easily set it up so that at 10 pm the phone will not be allowed to be active again until the next day. Smart phones are here to stay, and with them comes responsibility. Sometimes teenagers just don’t have the reasoning to use phones properly, and with this app can come better family moments. Haven’t there been times you would have loved to have prevented your child from texting during family gatherings so you can enjoy better moments with family? Now you can! Think of a text-free holiday at Grandma’s. It’s something out of the 1980s right? No longer! This app takes that one step further of protecting your child when you aren’t able to be there. You don’t have to worry about afterschool activities and reaching your child as if your teen is like most, their cell phone will be attached to them at all times. The fact you are setting limits is a tool used for their protection. This would also be fantstic to schedule homework times each evening if your child’s grades are falling. You could even restrict all numbers but emergency contacts to ground your teen. While this app is geared towards parents of teenagers, if you have an elderly parent who wanders off, this would be a great tool to help locate them as long as they had their phone with them. An app like this could also be used to locate a missing or stolen cell phone. After the first 30 days, it is only $9.99 a month for up to five smart phones. Don’t have that many children? Why not register your phone and your partner’s phone so if they are lost or stolen you can locate them by seeing who is being texted and called as well as the current location of the phone. With so many things around us these days to distract us, phones need to be a tool and not something that discourages family togetherness. How do YOU encourage responsible cell phone usage in your family? Do you set limits? Monitor texts? How would you use this app? I’d love to hear your thoughts! So can you read their text messages? How in depth does it monitor Facebook? I am not sure of all the details. You could visit your local U.S. Cellular location for more information. This is something I was unable to try myself as I don't have anyone else on my cell phone plan. this is really great! I don't know how common it is to have features like this, but anyone with a child with a phone should have this!